For movies, 2016 might be remembered as the year when superhero blockbusters formally entered their "It takes a village" stage. After "Batman v Superman: Dawn of Justice" sought to lay the groundwork for "Justice League," Marvel's "Captain America: Civil War" assembles a dizzying dozen costume-clad heroes. Marvel has made this notion of a "cinematic universe," where multiple heroes co-exist, a foundation of its strategy, migrating the idea from comics to movies and TV. "Civil War," which is both thematically ambitious and extremely entertaining, feels like a culmination of those efforts. While lacking the label, it's basically a third "Avengers" film, and creatively the best of the bunch. Directed by brothers Anthony and Joe Russo -- responsible for the well-regarded "Captain America: The Winter Soldier," and the next "Avengers" -- the movie tackles a serious theme. 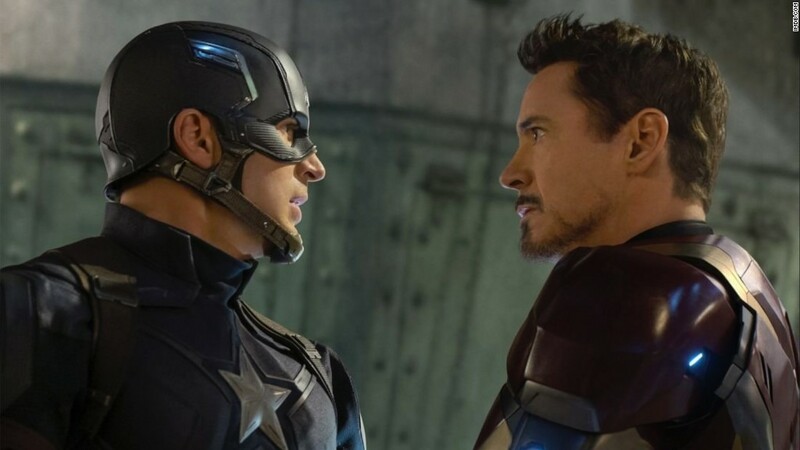 Specifically, Captain America (Chris Evans) and Iron Man (Robert Downey Jr.) wind up on opposite sides of a political debate involving tradeoffs to liberty in pursuit of security. In this case, that's about controlling these "enhanced" beings, with the U.S. government negotiating a global pact seeking to govern when and where they can take action. 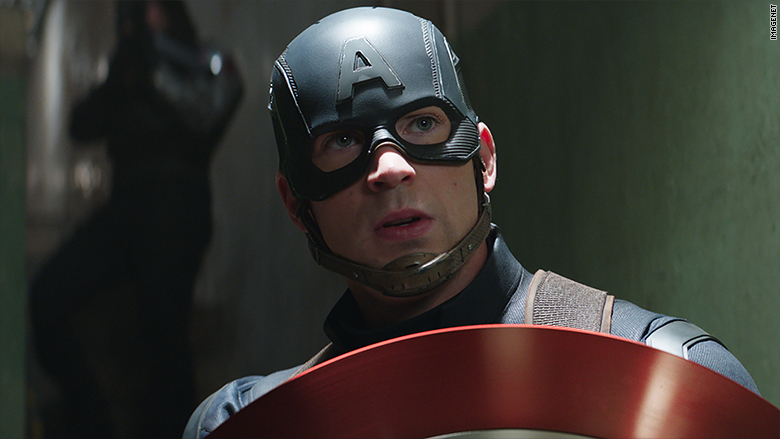 To Captain America and those who rally around him, the precedent is dangerous. To Iron Man, it's simply pragmatic, given the collateral damage their heroics can inflict, and already have. Well paced despite its near-2 ½-hour length, the movie features several elaborate, fast-paced sequences, building toward a showdown pitting the two groups of heroes against each other. Think of it as a basketball game, only with an abundance of high-flying and egregiously flagrant fouls. Amid all that, however, it's amazing how much business, in the literal sense, "Civil War" manages to conduct. Granted, this shouldn't come as a complete surprise, since these movies are designed to do more than tell an individual story; they are also tasked with whetting appetites for spin-offs and sequels. "Batman v Superman" not only brought in Wonder Woman before her featured vehicle but dropped in glimpses (commercials, really) for the Flash and Aquaman. What's especially admirable about "Civil War" is that it manages to weave in those elements without losing its focus -- and more significantly, its sense of fun. Even during the central fight there are playful moments, such as Ant-Man (Paul Rudd) initially behaving like a tongue-tied fan, or Black Widow (Scarlett Johansson) and Hawkeye (Jeremy Renner) hoping they can still be friends when it's all over. For some, the movie will doubtless feel too caught up in the larger Marvel universe as it careens from story to story. A few flourishes, as always, appear intended strictly to evoke gasps or chuckles from the handful of really committed fans that will get them. The ending is also a trifle messy, and rushed, and the villain (naturally, there has to be one) isn't particularly inspired. 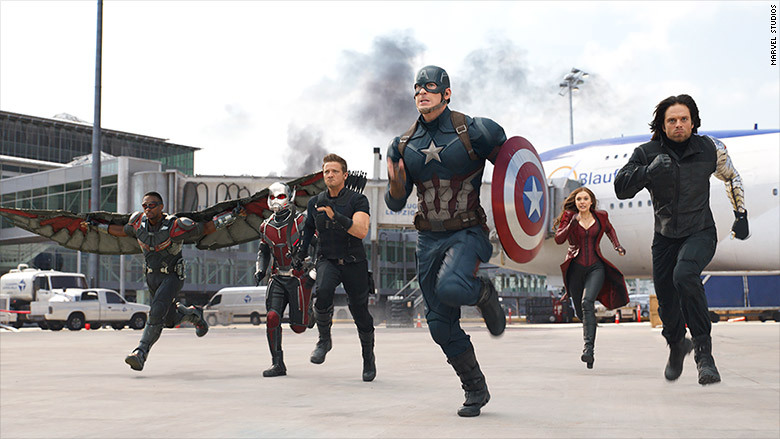 Still, after a stretch where superhero movies have produced headache-inducing sequences with almost abusive computer-generated imagery, "Civil War" maintains a sense of humanity. The fights are fast, frenetic, and crowd-pleasing, but mostly avoid the trap of becoming hollow animated constructs. In that, the Russo brothers seldom lose sight of the fact it should feel like there are people underneath those masks and armor. Nor should the movie's sheer scope be taken for granted. This marks a significant departure from the genre's past, even as recently as a few years ago. In those days, lone crusaders would usually be introduced -- complete with origin story -- and battle a single threat. Superheroes were James Bond, just with a more garish wardrobe. What's changed? Special effects have obviously made the spectacle of multiple characters feasible. Growing international box office has also emboldened studios by increasing the likelihood that they'll see a return on these massive investments of $200 million or more on production. While the idea of a DC-Marvel rivalry has been overstated -- as in the comics, there's room for both -- the former hurried the process in "Batman v Superman," while Marvel assiduously built up to it. The result is a film that honors its comic-book origins while feeling like a massive spectacle. Moreover, "Civil War" touches on darker thematic elements without becoming grim or weighted down by the density of its mythology. Simply put, when it comes to juggling multiple superheroes in a single movie, Marvel's latest comes close to setting the standard. And the studio, as well as the villagers, should have cause to rejoice.